Solutions from GVS start with review and planning. We manufacture cutting edge product solutions tailored to your production needs with the goal of greatly improving your existing production workflow for a fraction of the cost. Because we follow our solutions from concept to completion, we can make sure they are truly integrated, and we can provide superior support. 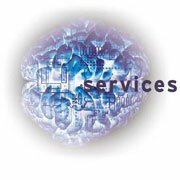 Below are some of the many service and support plans GVS offers to meet your needs. In addition, there are numerous online resources on our web site, and within our weekly technical e-mail, that provide valuable information, update and instruction.